Skepticism is the first step toward truth. It must be applied generally, because it is the touchstone. 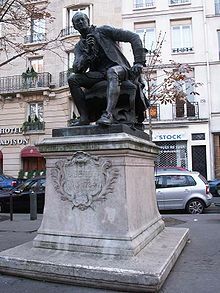 Denis Diderot (5 October 1713 – 31 July 1784) was a French philosopher and chief editor of the historic project to produce L'Encyclopédie. What is this world of ours? … a fleeting symmetry; a momentary order. Portraying a fictional conversation of Nicholas Saunderson with a priest, in ' Lettre sur les aveugles [Letter about the Blind] (1749), as quoted in Diderot and the Encyclopædists (1897) by John Morley, p. 92. Publication of this work resulted in Diderot being arrested and imprisoned. What is this world? A complex whole, subject to endless revolutions. All these revolutions show a continual tendency to destruction; a swift succession of beings who follow one another, press forward, and vanish; a fleeting symmetry; the order of a moment. I reproached you just now with estimating the perfection of things by your own capacity; and I might accuse you here of measuring its duration by the length of your own days. You judge of the continuous existence of the world, as an ephemeral insect might judge of yours. The world is eternal for you, as you are eternal to the being that lives but for one instant. Yet the insect is the more reasonable of the two. For what a prodigious succession of ephemeral generations attests your eternity! What an immeasurable tradition! Yet shall we all pass away, without the possibility of assigning either the real extension that we filled in space, or the precise time that we shall have endured. Time, matter, space — all, it may be, are no more than a point. As to all the outward signs that awaken within us feelings of sympathy and compassion, the blind are only affected by crying; I suspect them in general of lacking humanity. What difference is there for a blind man, between a man who is urinating, and man who, without crying out, is bleeding? And we ourselves, do we not cease to commiserate, when the distance or the smallness of the objects in question produce the same effect on us as the lack of sight produces in the blind man? All our virtues depend on the faculty of the senses, and on the degree to which external things affect us. Thus I do not doubt that, except for the fear of punishment, many people would not feel any remorse for killing a man from a distance at which he appeared no larger than a swallow. No more, at any rate, than they would for slaughtering a cow up close. If we feel compassion for a horse that suffers, but if we squash an ant without any scruple, isn’t the same principle at work? When one compares the talents one has with those of a Leibniz, one is tempted to throw away one's books and go die quietly in the dark of some forgotten corner. There's a bit of testicle at the bottom of our most sublime feelings and our purest tenderness. "Spirit of the staircase" or "Staircase inspiration"
Never allow yourselves to forget that it is for their own sakes and not for yours that all those wise lawgivers have forced you into your present unnatural and rigid molds. And as evidence of this, I need only produce all our political, civil, and religious institutions. Examine them thoroughly, and either I am very much mistaken or you will find that mankind has been forced to bow, century after century, beneath a mere handful of scoundrels has conspired, in ever age, to impose upon it. Beware of the man who wants to set things in order. Setting things in order always involves acquiring mastery over others — by tying them hand and foot. The wisest among us is very lucky never to have met the woman, be she beautiful or ugly, intelligent or stupid, who could drive him crazy enough to be fit to be put into an asylum. How old the world is! I walk between two eternities... What is my fleeting existence in comparison with that decaying rock, that valley digging its channel ever deeper, that forest that is tottering and those great masses above my head about to fall? I see the marble of tombs crumbling into dust; and yet I don’t want to die! Au défaut d’un cordon pour étrangler les rois. For want of a rope, to strangle kings. Variant translation: His hands would plait the priest's guts, if he had no rope, to strangle kings. This derives from the prior statement widely attributed to Jean Meslier: "I would like — and this would be the last and most ardent of my wishes — I would like the last of the kings to be strangled by the guts of the last priest". It is often claimed the passage appears in Meslier's Testament (1725) but it only appears in abstracts of the work written by others. See the Wikipedia article Jean Meslier for details. Serrons le cou du dernier roi. Attributions to Diderot of similar statements also occur in various forms, i.e. : "Men will never be free until the last king is strangled with the entrails of the last priest." 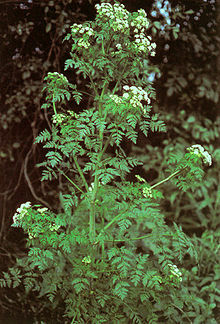 It is very important not to mistake hemlock for parsley; but not at all so to believe or not in God. Variant translation: It is very important not to mistake hemlock for parsley, but to believe or not believe in God is not important at all. No. 29; Variant translation: I can be expected to look for truth but not to find it. We are constantly railing against the passions; we ascribe to them all of man’s afflictions, and we forget that they are also the source of all his pleasures … But what provokes me is that only their adverse side is considered … and yet only passions, and great passions, can raise the soul to great things. Without them there is no sublimity, either in morals or in creativity. Art returns to infancy, and virtue becomes small-minded. Superstition is more injurious to God than atheism. Variant: A thing is not proved just because no one has ever questioned it. What has never been gone into impartially has never been properly gone into. Hence skepticism is the first step toward truth. It must be applied generally, because it is the touchstone. Variant: The first step towards philosophy is incredulity. To prove the Gospels by a miracle is to prove an absurdity by something contrary to nature. To say that man is a compound of strength and weakness, light and darkness, smallness and greatness, is not to indict him, it is to define him. We do not know nature; causes hidden in her breast might have produced everything. In your turn, observe the polyp of Trembley: does it not contain in itself the causes which bring about regeneration? Why then would it be absurd to think that there are physical causes by reason of which everything has been made, and to which the whole chain of this vast universe is so necessarily bound and held that, nothing which happens, could have failed to happen,—causes, of which we are so invincibly ignorant that we have had recourse to a God, who, as some aver, is not so much as a logical entity? 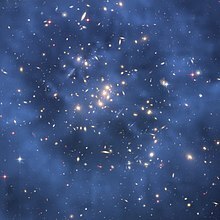 Thus to destroy chance is not to prove the existence of a supreme being, since there may be some other thing which is neither chance nor God—I mean, nature. It follows that the study of nature can make only unbelievers; and the way of thinking of all its more successful investigators proves this. This is a work that cannot be completed except by a society of men of letters and skilled workmen, each working separately on his own part, but all bound together solely by their zeal for the best interests of the human race and a feeling of mutual good will. Aucun homme n'a recu de la nature le droit de commander aux autres. 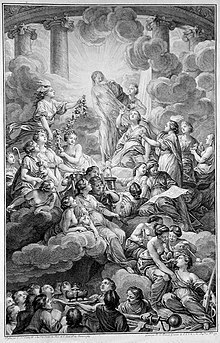 La liberté est un présent du ciel, et chaque individu de la meme espèce a le droit d'en jouir aussitòt qu'il jouit de la raison. Variant translation: No man has received from nature the right to command his fellow human beings. La puissance qui s'acquiert par la violence n'est qu'une usurpation, et ne dure qu'autant que la force de celui qui commande l'emporte sur celle de ceux qui obéissent. The philosopher forms his principles on an infinity of particular observations. … He does not confuse truth with plausibility; he takes for truth what is true, for forgery what is false, for doubtful what is doubtful, and probable what is probable. … The philosophical spirit is thus a spirit of observation and accuracy. Reason is to the philosopher what grace is to the Christian. Variant translation: Reason is to the philosopher what grace is to the Christian. Grace moves the Christian to act, reason moves the philosopher. Other men walk in darkness; the philosopher, who has the same passions, acts only after reflection; he walks through the night, but it is preceded by a torch. The philosopher forms his principles on an infinity of particular observations. … He does not confuse truth with plausibility; he takes for truth what is true, for forgery what is false, for doubtful what is doubtful, and probable what is probable. … The philosophical spirit is thus a spirit of observation and accuracy. Go further, and require each of them to make a contribution: you will see how many things are still missing, and you will be obliged to get the assistance of a large number of men who belong to different classes, priceless men, but to whom the gates of the academies are nonetheless closed because of their social station. All the members of these learned societies are more than is needed for a single object of human science; all the societies together are not sufficient for a science of man in general. Are we not madder than those first inhabitants of the plain of Sennar? We know that the distance separating the earth from the sky is infinite, and yet we do not stop building our tower. The following general definition of an animal: a system of different organic molecules that have combined with one another, under the impulsion of a sensation similar to an obtuse and muffled sense of touch given to them by the creator of matter as a whole, until each one of them has found the most suitable position for it shape and comfort. When shall we see poets born? After a time of disasters and great misfortunes, when harrowed nations begin to breathe again. And then, shaken by the terror of such spectacles, imaginations will paint things entirely strange to those who have not witnessed them. Shakespeare’s fault is not the greatest into which a poet may fall. It merely indicates a deficiency of taste. Bad company is as instructive as licentiousness. One makes up for the loss of one’s innocence with the loss of one’s prejudices. Je m’entretiens avec moi-même de politique, d’amour, de goût ou de philosophie ; j’abandonne mon esprit à tout son libertinage ; je le laisse maître de suivre la première idée sage ou folle qui se présente … Mes pensées ce sont mes catins. I discuss with myself questions of politics, love, taste, or philosophy. I let my mind rove wantonly, give it free rein to follow any idea, wise or mad that may present itself. … My ideas are my harlots. My thoughts are my trollops. La reconnaissance est un fardeau, et tout fardeau est fait pour être secoué. If your little savage were left to himself and be allowed to retain all his ignorance, he would in time join the infant’s reasoning to the grown man’s passion, he would strangle his father and sleep with his mother. What a hell of an economic system! Some are replete with everything while others, whose stomachs are no less demanding, whose hunger is just as recurrent, have nothing to bite on. The worst of it is the constrained posture need puts you in. The needy man does not walk like the rest; he skips, slithers, twists, crawls. See this egg. It is with this that all the schools of theology and all the temples of the earth are to be overturned. Do you see this egg? With this you can topple every theological theory, every church or temple in the world. What is it, this egg, before the seed is introduced into it? An insentient mass. And after the seed has been introduced to into it? What is it then? An insentient mass. For what is the seed itself other than a crude and inanimate fluid? How is this mass to make a transition to a different structure, to sentience, to life? Through heat. And what will produce that heat in it? Motion. 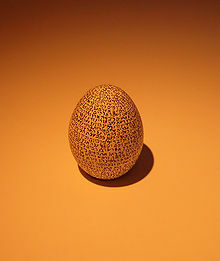 Variant translation: See this egg. It is with this that all the schools of theology and all the temples of the earth are to be overturned. The decisions of law courts should never be printed: in the long run, they form a counterauthority to the law. The most dangerous madmen are those created by religion, and … people whose aim is to disrupt society always know how to make good use of them on occasion. There is not a Musselman alive who would not imagine that he was performing an action pleasing to God and his Holy Prophet by exterminating every Christian on earth, while the Christians are scarcely more tolerant on their side. Jacques said that his master said that everything good or evil we encounter here below was written on high. The first promise exchanged by two beings of flesh was at the foot of a rock that was crumbling into dust; they took as witness for their constancy a sky that is not the same for a single instant; everything changed in them and around them, and they believed their hearts free of vicissitudes. O children! always children! Gaiety — a quality of ordinary men. Genius always presupposes some disorder in the machine. "Correspondence of Ideas with the Motion of Organs"
Gautama Buddha, as quoted in the Dhammapada. If I had believed him, everything would have been turned upside down... all would have been turned topsy-turvy to make room for impractical theories. If ever anybody dedicated his whole life to the "enthusiasm for truth and justice" — using this phrase in the good sense — it was Diderot. Diderot took the ground that, if orthodox religion be true Christ was guilty of suicide. Having the power to defend himself he should have used it. Of course it would not do for the church to allow a man to die in peace who had added to the intellectual wealth of the world. The moment Diderot was dead, Catholic priests began painting and recounting the horrors of his expiring moments. They described him as overcome with remorse, as insane with fear; and these falsehoods have been repeated by the Protestant world, and will probably be repeated by thousands of ministers after we are dead. The truth is, he had passed his threescore years and ten. He had lived for seventy-one years. He had eaten his supper. He had been conversing with his wife. He was reclining in his easy chair. His mind was at perfect rest. He had entered, without knowing it, the twilight of his last day. Above the horizon was the evening star, telling of sleep. The room grew still and the stillness was lulled by the murmur of the street. There were a few moments of perfect peace. The wife said, "He is asleep." She enjoyed his repose, and breathed softly that he might not be disturbed. The moments wore on, and still he slept. Lovingly, softly, at last she touched him. Yes, he was asleep. He had become a part of the eternal silence. I don't understand how a man of good sense can accept for a single moment the sentence of the philosopher Diderot. It may well be high-sounding and incisive, it is nonetheless absurd and false. An who does not see, on the contrary, that it is not possible for the wicked man to love living alone and with himself? He would feel himself in company that is too bad, he would be too ill at ease, he would not be able to bear it for very long, or else, with his dominant passion remaining idle, it would have to die out and he would become good again. Amour-propre, the principle of all wickedness, is revived and thrives in society, which cause it to be born and where one is forced to compare oneself at each instant. It languishes and dies for want of nourishment in solitude. Whoever suffices to himself does not want to harm anyone at all. This maxim is less resounding and less arrogant, but more sensible and more just than that of the philosopher Diderot, and preferable at least in that it does not tend to offend anyone. This page was last edited on 28 February 2019, at 19:50.